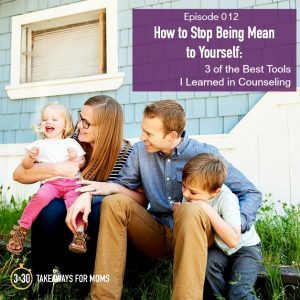 April marks the half birthday of 3 in 30, so I wanted to kick off the month with a special episode featuring YOU, the mothers of this community. 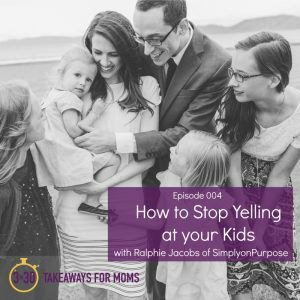 Do you remember, back in October, when we celebrated the first birthday of the podcast and I asked all of you to think of your own 3 takeaways about motherhood? 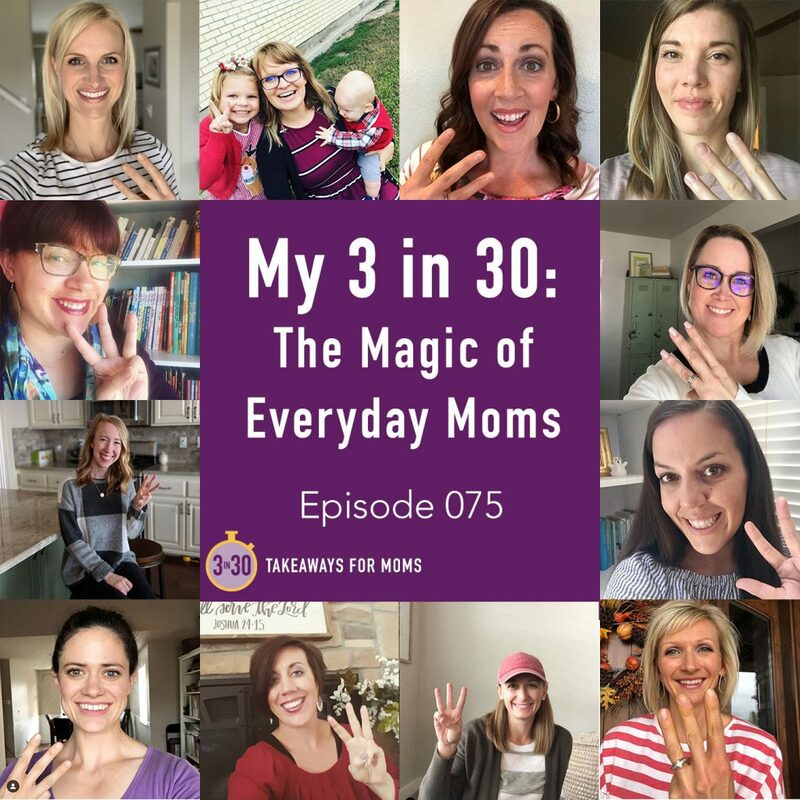 That was such an inspiring month for me, as I saw your social media posts, read your emails, and listened to your voicemails of your own #my3in30 takeaways. At that time, I compiled a bunch of your voicemails to air as a birthday episode (here! ), but there were too many to fit into one 30-minute segment, so I always planned to use the rest in a half birthday episode. And that’s what you’re going to hear today! 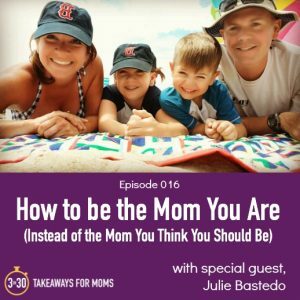 You will hear from 12 mothers who have incredibly varied life experiences and wisdom to share. To all of you listening, YOU are what make 3 in 30 magical. 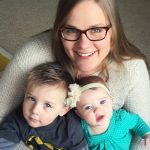 I am so incredibly grateful for your support and dedication to motherhood. 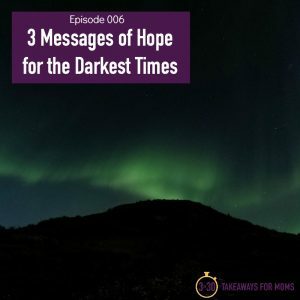 A special THANK YOU to the women who contributed to this episode! Jill (@jcoterie), Ashley (@joyful_homes), Emily, Kristie (@ourkerrazyadventure), Erin, Alisha, Melissa (@melissa.plainandsimple), Amanda, Jaraka, Jessica, and Molly. **Each month, we create a printable of all the takeaways from the episodes that aired that month. 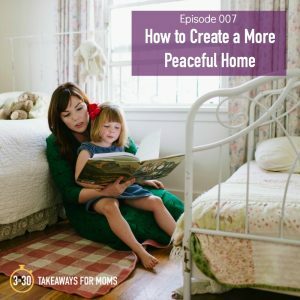 It is a true labor of love, and we have heard feedback from many women who utilize and look forward to receiving these takeaways sheets each month. 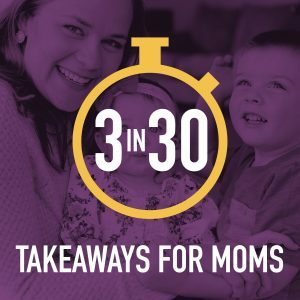 If you want all the takeaways directly to your inbox each month, sign up at 3in30podcast.com/takeaways. Great episode. I enjoyed hearing everyone’s takeaways. And Jill’s quilts are gorgeous!! Yes they are!! Thank you so much for listening, commenting, and going to check out Jill’s work!